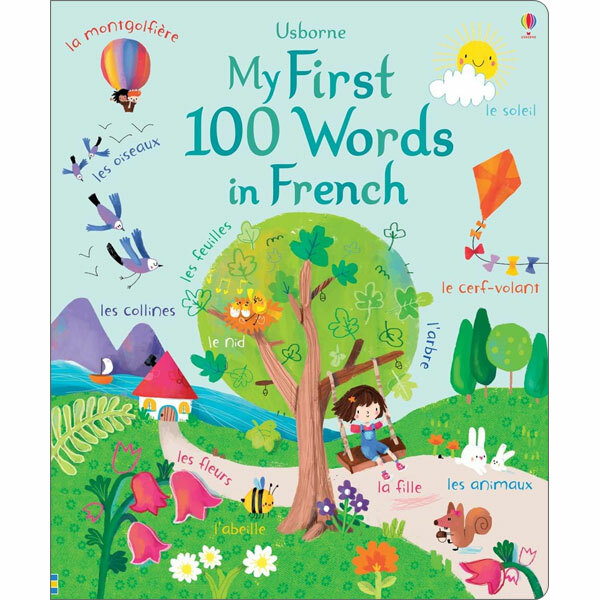 Usborne My First 100 Words in French is a wonderfully illustrated book for children to discover their first French words. 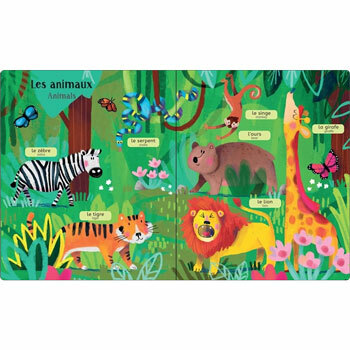 Colourful scenes, labelled in French and English, include a jungle bursting with wildlife, a cosy bedroom and a bustling city street. Each object in the book is clearly labelled with its French name (including definitive article), with the English word underneath. Children can listen to the pronunciation of all the words at the Usborne Quicklinks website, spoken by a native French speaker. Usborne My First 100 Words in French is suitable for all children who are learning their first words in French. It is aimed at ages 2 - 7. 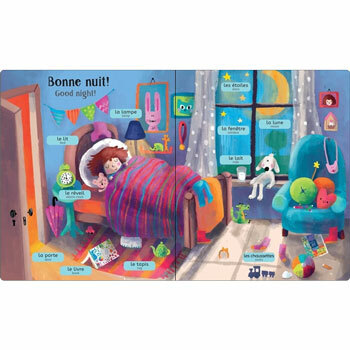 There is no pronunciation guide with this book so it would be helpful for children to have a parent or teacher with a reasonable knowledge of French to help them to say the words aloud.